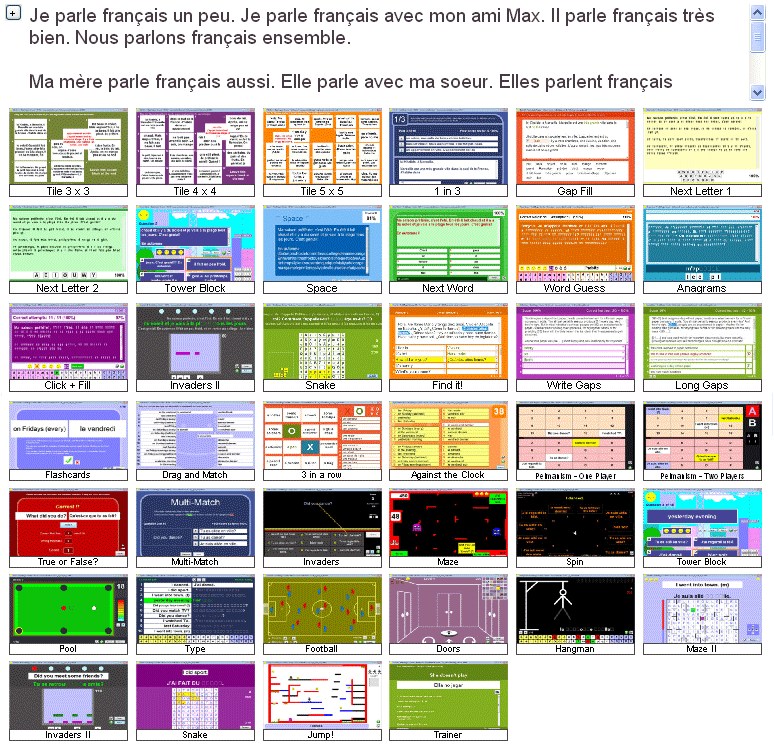 The resources below are all based on basic French TL phrases for students to use in the classroom. 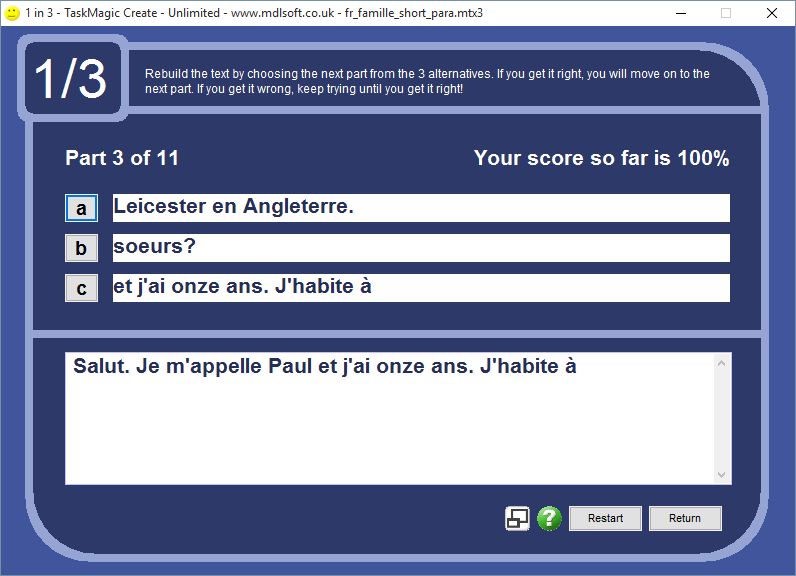 The pdf below contains 14 activities based on a short text demonstrating all parts of "parler" in the present tense. (10 based on the text and 4 based on the vocab). Je parle français un peu. Je parle français avec mon ami Max. Il parle français très bien. Nous parlons français ensemble. Ma mère parle français aussi. Elle parle avec ma soeur. Elles parlent français ensemble. Et toi? Tu parles français? Et tes parents? Ils parlent français? Et toi et tes parents... vous parlez français ensemble? It should be suitable for year 7, don't you think? 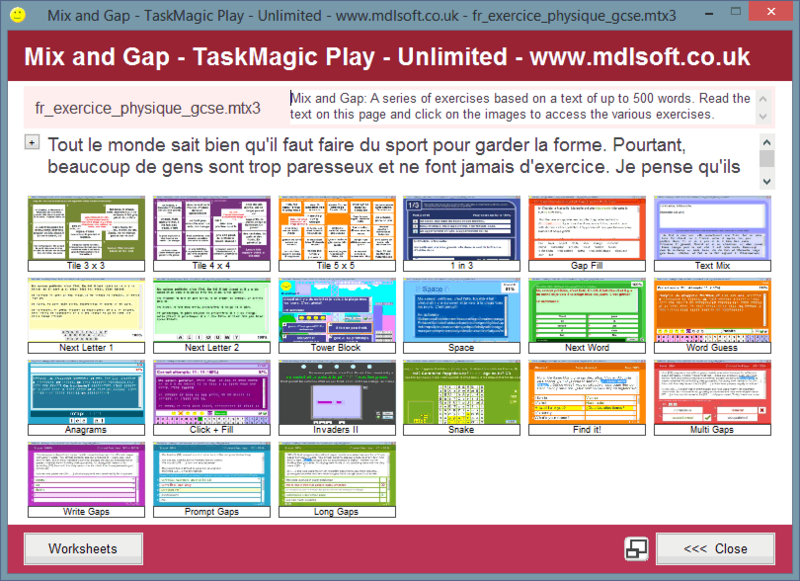 The pdf worksheets were printed from TaskMagic3. The TaskMagic3 files are also included, and require TaskMagic3. 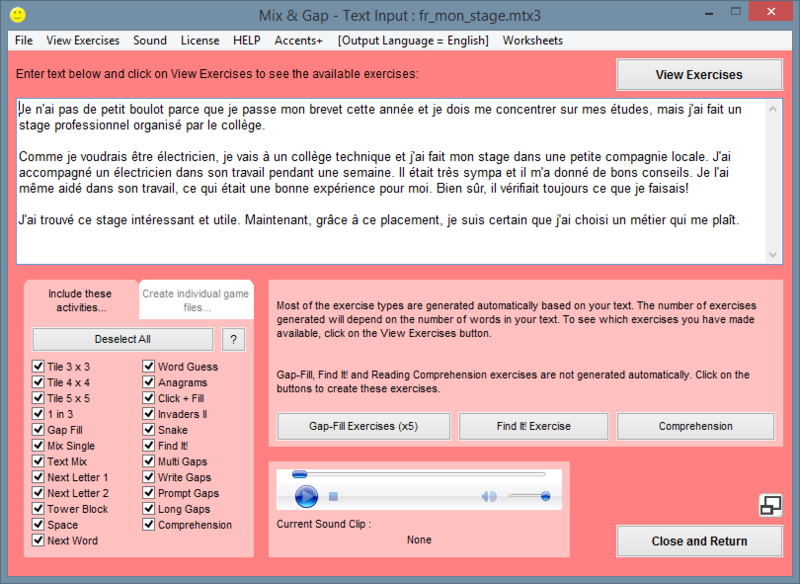 The mtx3 file is a Mix and Gap file. The mdl3 file is a Text Match file.